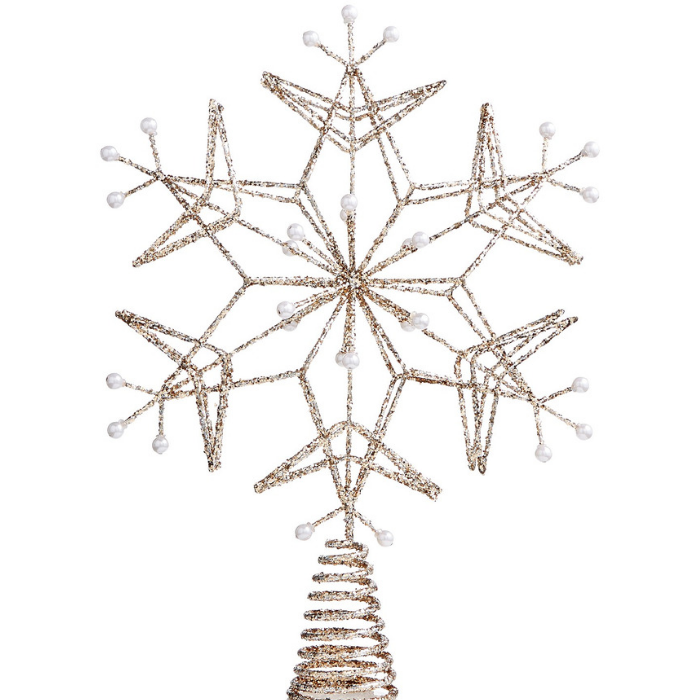 Golden Snowflake Tree Topper Just $9.99! Down From $26! You are here: Home / Great Deals / Christmas Deals / Golden Snowflake Tree Topper Just $9.99! Down From $26! Holiday Lane’s glittery snowflake topper with white bead accents is the perfect way to complete what’s sure to be your best tree ever!